Wellington Home Inspections of the Palm Beaches is committed to serving you, my customer. My business is built on trust, integrity and making sure you know about the investment you’re about to make. Everyone involved, especially the buyers and sellers need to understand and know the condition of the property. Throughout my experiences I have found it is imperative to communicate and work directly with the client to ensure they understand what is actually inspected and what is not. 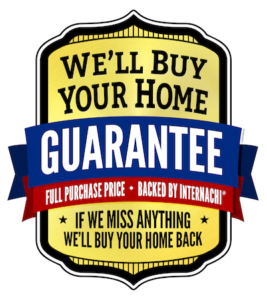 My PROMISE to you – I will inspect your home as if it were going to be my own. I strive to uphold my reputation for excellent and timely service, high-detail inspection services, and delivering you a home inspection report that gives you the insights you need to make a smart decision. If we fail to identify a reportable defect as defined by InterNACHI’s Standards of Practice, We will buy the home back! Up to 90 Days after closing, for the purchase price of the home. We love hearing from you anytime! Call or Email if you have any questions or use the online scheduler to set up a home inspection.